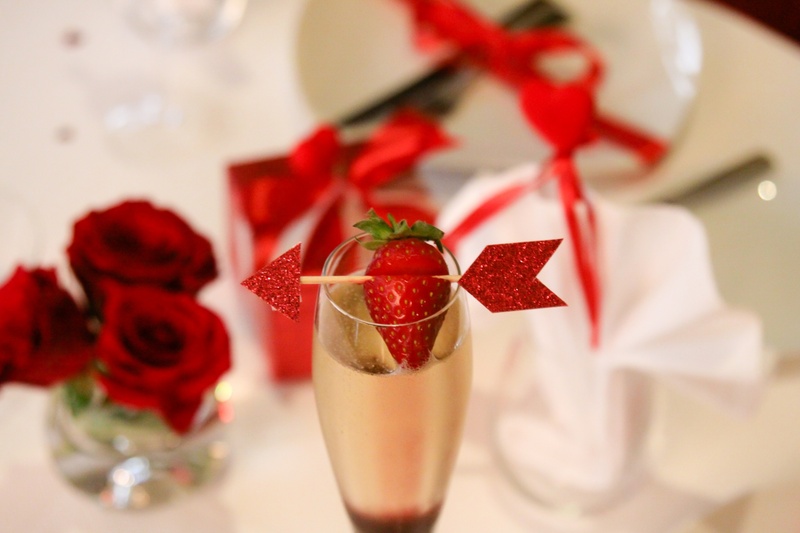 Valentine's Day is just around the corner and you have been too busy handling the day-to-day operations to be able to really think about how you are going to capitalize on the most important romantic dining holiday of the year! According to statisticbrain.com, 34.6% of couples will take their loved one out to dinner on this special day. The average consumer spends $116.21 on Valentine's Day. Apparently the bombardment of restaurant marketing is working! There are so many ways to bring in extra foot traffic on this romantic day. This year it will be a romantic weekend with Valentine's Day falling on a Sunday, so people will be celebrating all weekend long. The tricky part is to keep it simple and keep it thoughtful. Let's just get it out in the open! Women love chocolate. You can add real value to your Valentine's day special by including a free dessert at the end. If this is too much of a financial sacrafice, consider purchasing individually wrapped chocolates that the server can surprise the couple with at the end of their meal. It is these small gestures that build loyalty and will keep your restaurant customers coming back often. With an average of 198,000,000 roses produced for Valentine's, what better promotion than to include a free one with every dinner for that special day? The men will be grateful because you will be making them look good. And the women will be smitten because who doesn't love a rose? The human being is a species that loves to be pampered. In our busy society, we love the opportunity to kick up our feet and relax as everything is taken care of for us. For this reason, the Prix Fixe menu is widely used for this romantic holiday. Offering a special 3-course or 4-course menu with very limited choices really provides the guest with an experience of simplified elegance. This great last-minute idea is as easy as working with your chef on a special menu, creating a simple letter sized menu to give out to the guests, and a little advertising on your social media channels and web presence. It really cannot get much simpler than that! This idea is very simple to manage the exact cost. It doesn't depend on how many guests come in or how much food they eat. This is a one-time upfront expense that will pay off big time on that special day. The ambience is really made vibrant when there is live music involved. Make sure the band you choose fits with your restaurant environment. As the romantic couples enjoy their appetizers tapping their toes to the beat, endorphins are flying, they are feeling good and you get to watch the day sales go up and up and up! Including chapagne as your added value for Valentine's Day is a great idea, especially if you have a big brunch crowd. This year, Valentine's Day is on a Sunday so it is likely that the lovebirds will be looking for romantic breakfast opportunities. Just by adding the champagne bonus, you can lure the love birds through your doors.